Create a brief for artists. Work to a curatorial problem based on research. The importance of understanding research and politics (political context). Think about the voice of an individual artist when part of a larger group show. Artists are important. Context is important. From the place of making (studio) to the public domain (gallery/museum in the broader sense). Consider the role of pedagogy (educational practices) in a gallery/museum. Conversations with artists aren’t always clear or easy. Commitments of an artist and commitments of a curator aren’t always the same things. You must be able to negotiate. It is not about power-plays, its how conceptual ambitions align between the artist(s) and curator. Every organisation comes with its own idiosyncrasies – we all come to the party with something different. It is all about WORKABILITY. Check your ego in at the door. Have a plan B with artists. Bring in elements from the exhibition concept/context through the exhibition design. Exhibition designer and exhibition curator need to be on the same page. 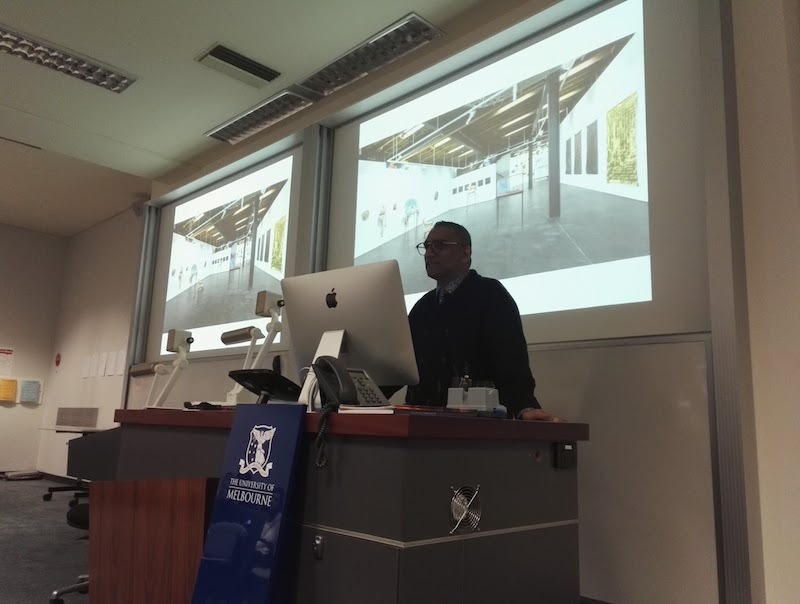 It’s not just about the artist…it’s what’s best for the exhibition, the organisation and audience. It’s having overarching grace and humility. Previous What is the role of the curator? Next *Taps the mic* – what do you want to hear from me?